Sipping coffee and birdwatching out the kitchen window early on my birthday morning is a great way to start the day! This little fella is a rufous hummingbird. First task of the day: To cook more hummingbird food with 1 part sugar to 4 parts water, boiled then cooled. No need for red food color; the birds find the feeder regardless of the color of the liquid. 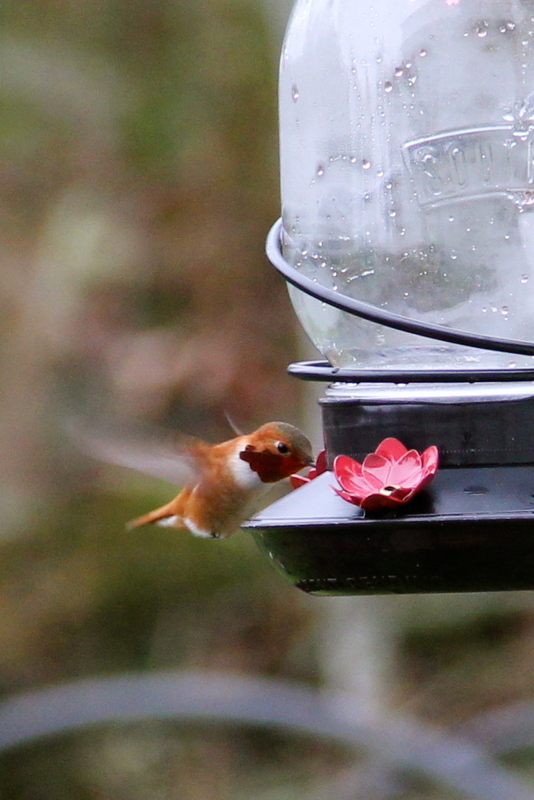 This entry was tagged Coppertop, gardening, hummingbirds, Olympic Peninsula, rufous hummingbird. Bookmark the permalink.